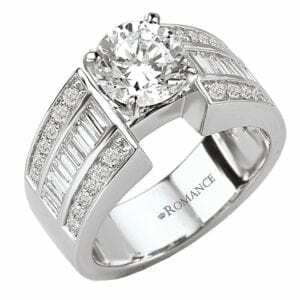 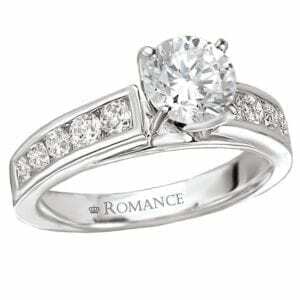 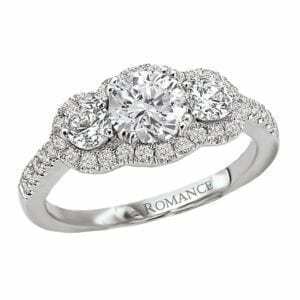 25150-R33-PS Diamond Engagement Ring 0.08 Ctw. 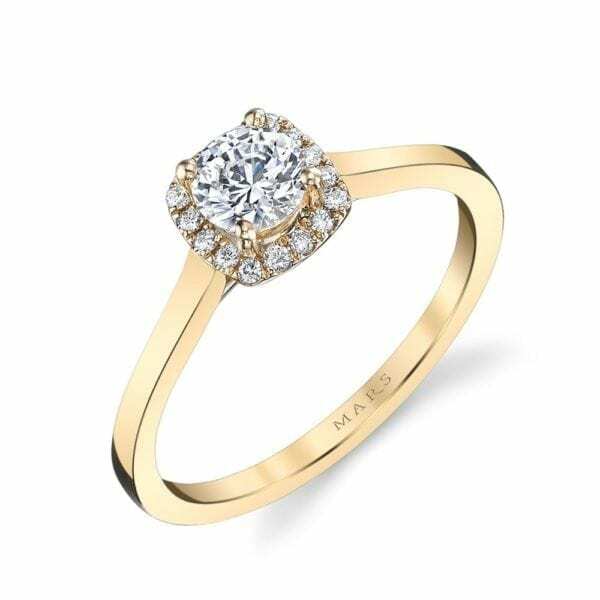 A Modern Engagement Ring with High Polish Solitaire Shank and Diamond Pave Cushion Halo. 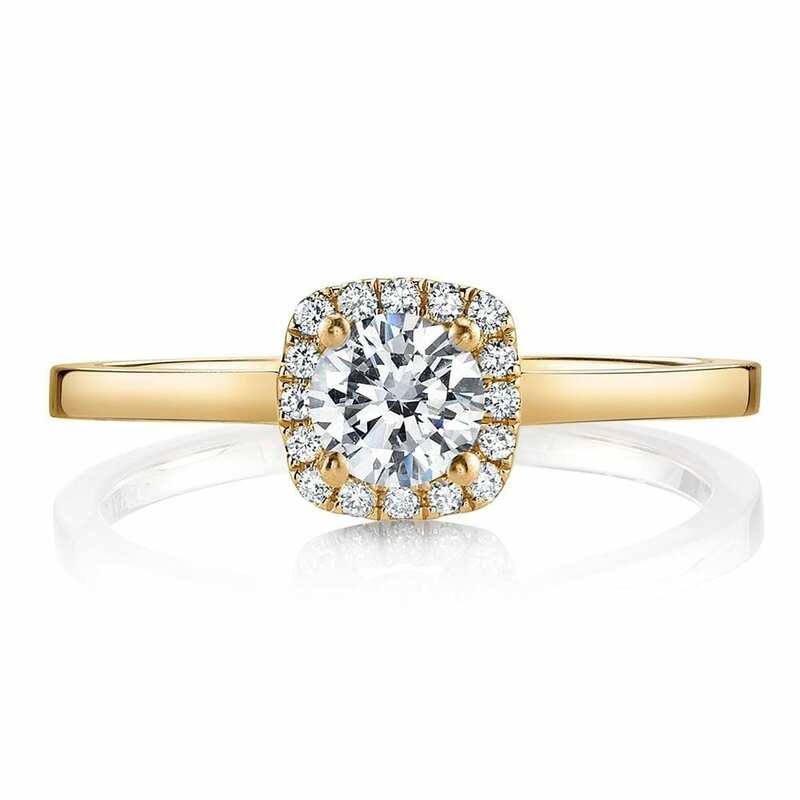 Shown in Yellow Gold with Approx. 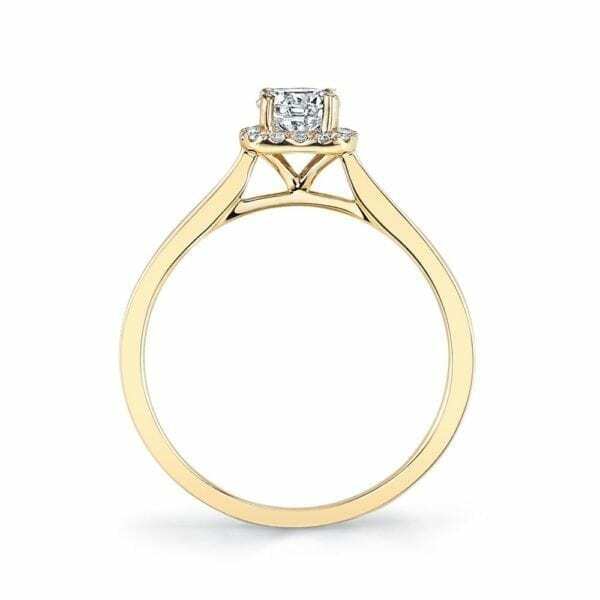 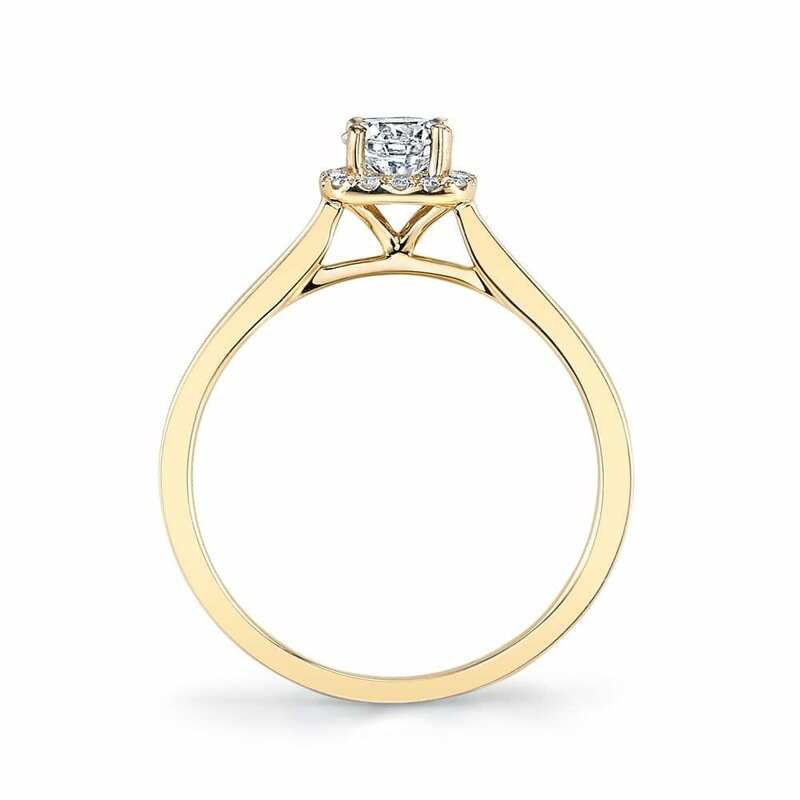 Third of Carat Round Brilliant Cut Center. 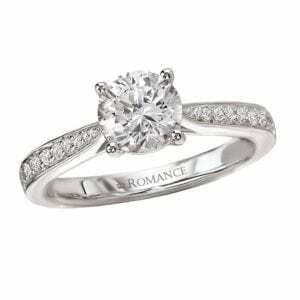 Side Stones: 0.08 Carat Total Weight.